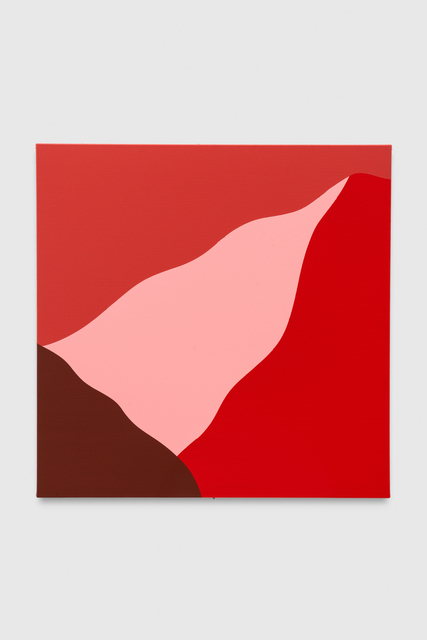 RANGE is the first Los Angeles solo exhibition of Santa Barbara artist Tosh Clements, also known as Toshy, featuring new monochrome and abstract paintings, works on paper, and more. The show also marks the introduction of BMG's Design Objects program organized by S. Sandifer. 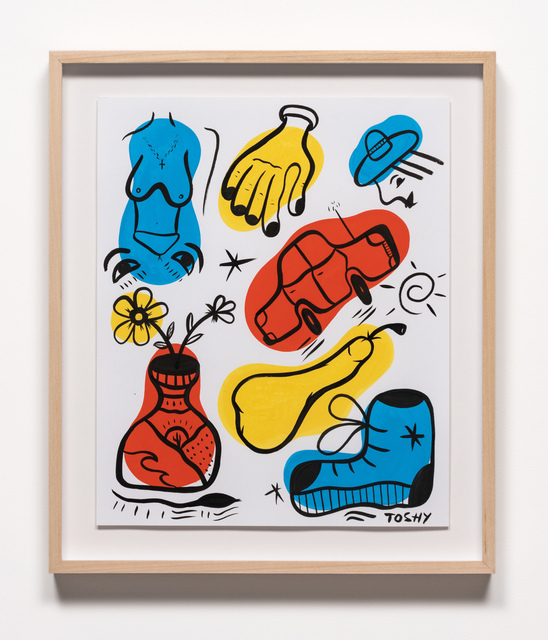 LOS ANGELES (Apr 2, 2019)–Brannan Mason Gallery (BMG) is proud to announce RANGE, the first Los Angeles solo exhibition of Santa Barbara artist Tosh Clements, also known as Toshy, and introduce the gallery’s Design Objects program organized by S. Sandifer. 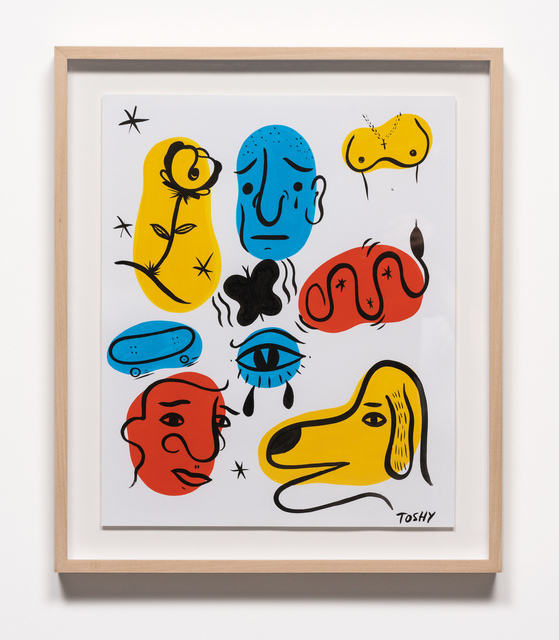 RANGE features new monochrome and abstract paintings, ink and gouache works on paper, limited edition posters, and stickers made by Toshy. 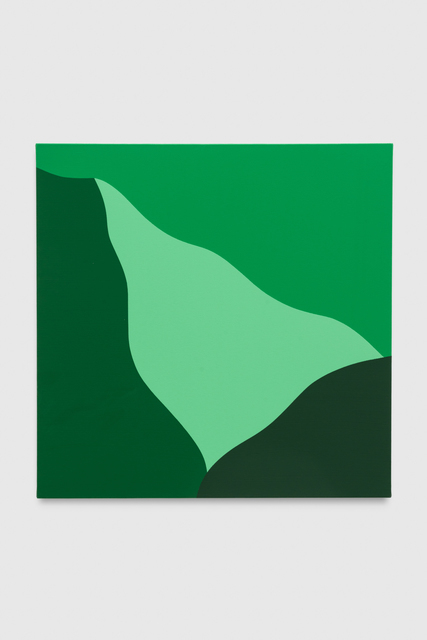 The monochrome paintings layer curving shapes in shifting tones and hues of bright colors. 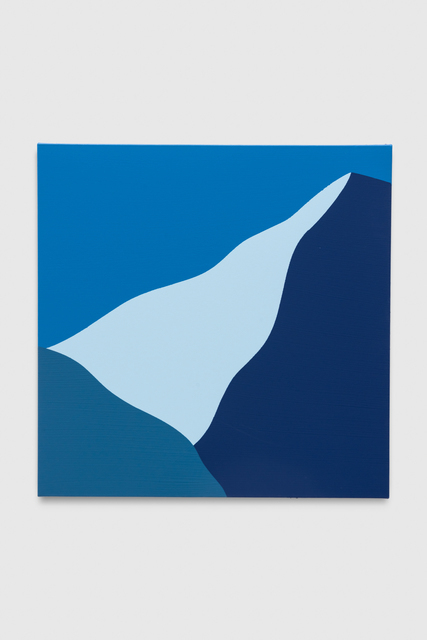 Their compositions are open to interpretation but can appear to be mountain ranges, frames, flowers, or horizons. 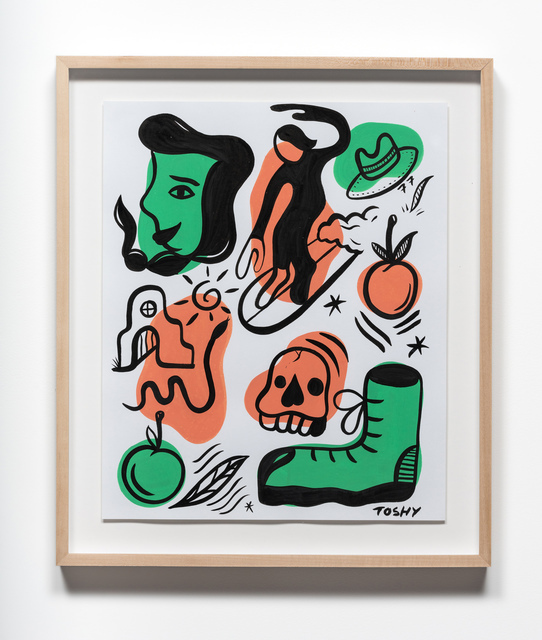 Toshy's ink and gouache works on paper overlay gestural ink outlines of figures, symbols, and objects on bright amorphous forms. Clements dropped out of high school after just two hours of class and from then on has approached things in his own way. Deeply involved in DIY culture, Clements spent what would have been his high school years skating, traveling by hopping trains, and teaching himself photography. 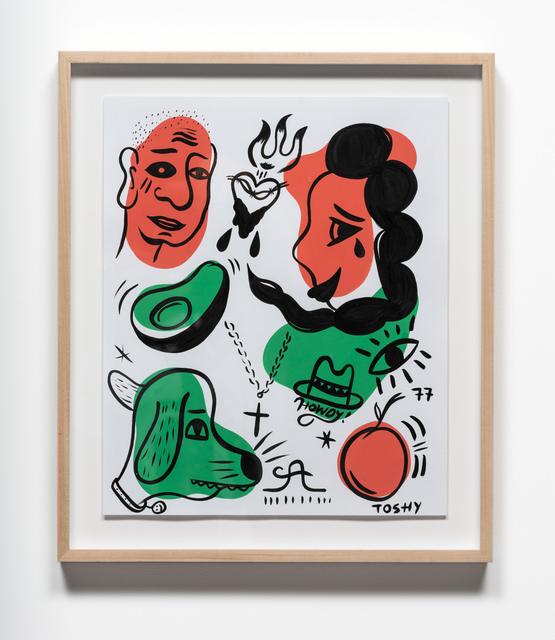 As a believer in finding nontraditional ways of making, Toshy was enmeshed in graffiti and tattooing, both of which show their influence in his paintings. After co-founding Breakfast Culture Club, an art gallery and coffee shop in Santa Barbara, Clements celebrated with his first trip to Europe. 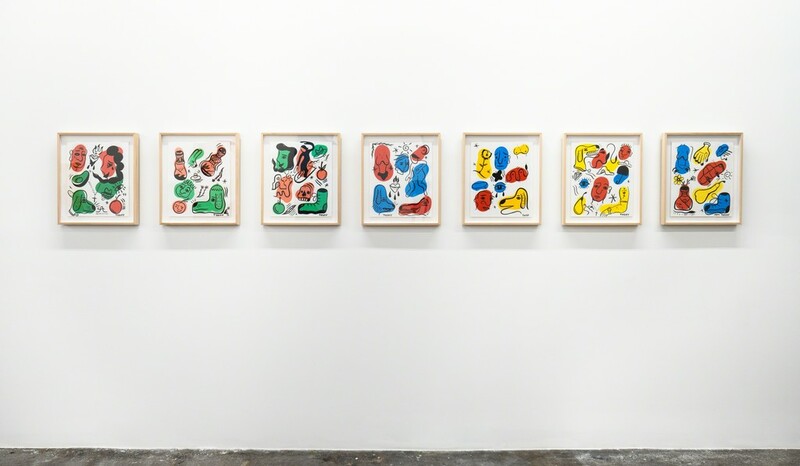 For the first time he saw the work of Henri Matisse, Joan Miró, and Ellsworth Kelly in person. While photography had formed Toshy's sense of composition, seeing these iconic works of art in person got him thinking about painting for the first time. Upon returning to California he began devoting as much time as possible to this new medium. 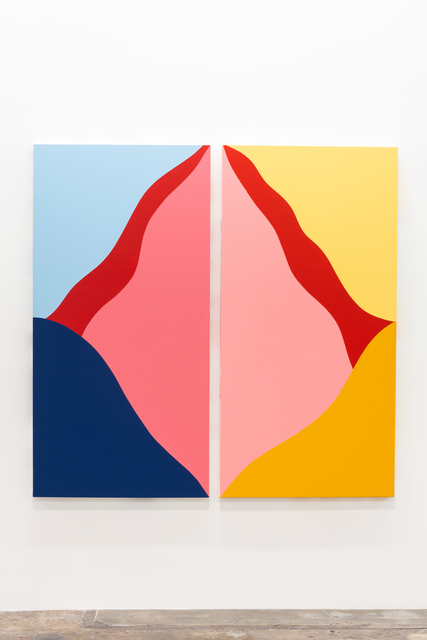 Inspired by the paintings he saw in Europe and the DIY culture that has formed him, his paintings prioritize personal expression over depiction and often pull visual cues from punk, surfing, and skating. This democratic approach is also reflected in the variety of objects on view, from paintings to stickers and shirts. Tosh Clements (b. 1989) was born and raised in Santa Barbara, California where he still lives and works. He is the co-founder of Breakfast Culture Club, a gallery and coffee shop in Santa Barbara where he also had his first solo exhibition. 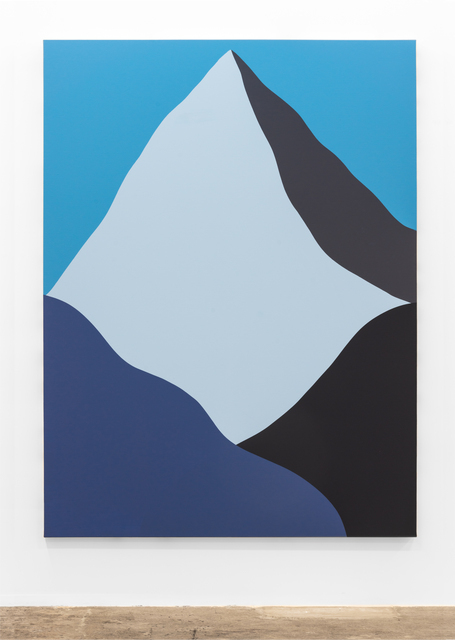 He has had a solo show at Bread & Butter Gallery, Santa Barbara, and appeared in a group exhibition at Silo 118 Gallery, Santa Barbara. 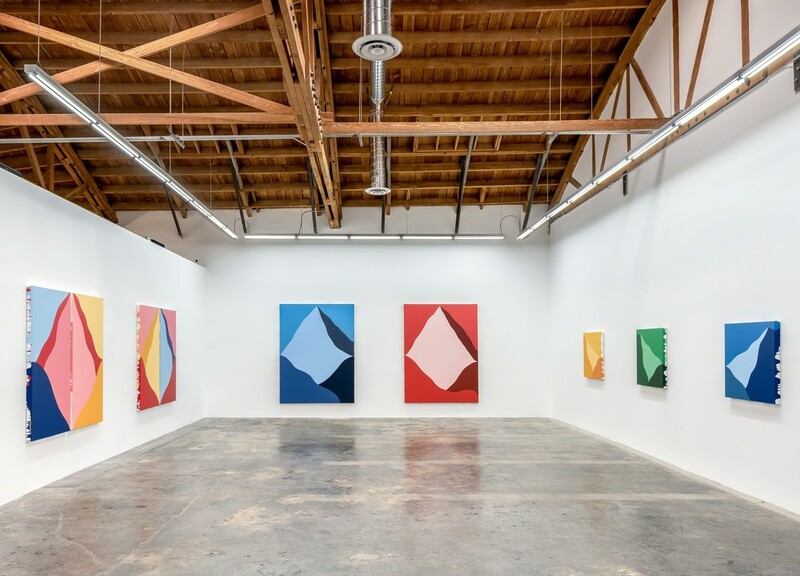 RANGE is his first Los Angeles solo exhibition. In the adjacent gallery, S. Sandifer’s Design Objects program will feature an evolving selection of one-of-a-kind furniture and objects that translate the warmth and wit of Sandifer’s aesthetic and design philosophy. As the Creative Director and Curator for the gallery’s Design Objects program, Sandifer has also designed the gallery’s bar and private parlor (pictured above) that features custom designed furniture throughout. J. Sakiya Sandifer, also known as S. Sandifer, has made a name for himself in design, art direction, concept development, writing, publishing, and songwriting. 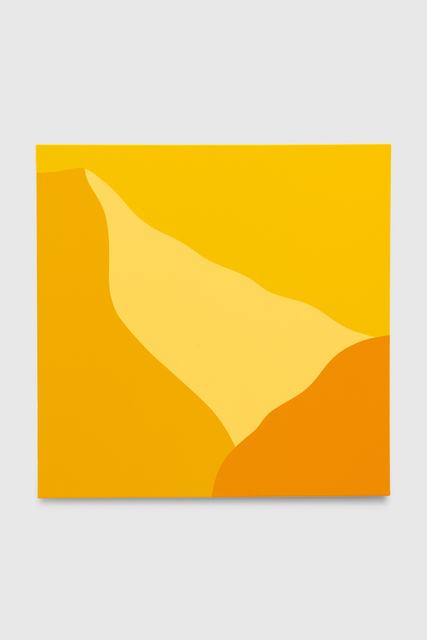 Sandifer's interest in design began while creating flyers as a student at the University of Wisconsin-Madison. After returning home to Chicago, he founded his first company out of his living room and developed a devoted roster of clients. In 2006 he published his first book, "Think Think Think and Think Again: The Power of Ideas Designed to Spark Change," a short book of philosophies aimed at those seeking to create positive change in their life. The book would become the foundation of a curriculum Sandifer developed for working with youth. In 2008, Sandifer co-authored a collection of philosophies and anecdotes with Kanye West entitled, “Thank You and You’re Welcome." In 2010, he co- authored "History's Greatest Leaders and You: There’s More in Common Than You Think" with Marc Cinque and Matt Eventoff and guided its overall design and production. That same year, Sandifer released his second solo publication, “A Book of Questions with One Answer." Shortly thereafter, Sandifer developed a workshop series entitled “Thinking (Like an Entrepreneur) Changed My Life!” passing on his ability to translate complex concepts into simple terms. He has given this workshop for a diverse audience of businesses and entrepreneurs. In 2013, Sandifer became a Grammy nominated songwriter for his contributions to Kanye West's critically acclaimed "Yeezus" album. In 2018, Sandifer was sought out by international retailer PacSun to serve as the Creative Director for a new marketplace, XSSORTMENTS, set to launch in February 2020. 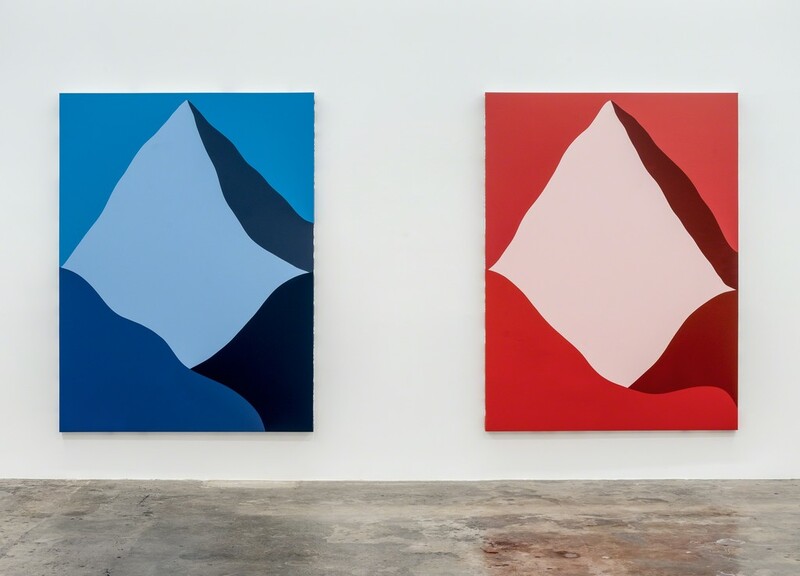 He is currently the Creative Director and Curator for the Design Objects Program at Brannan Mason Gallery in Los Angeles. 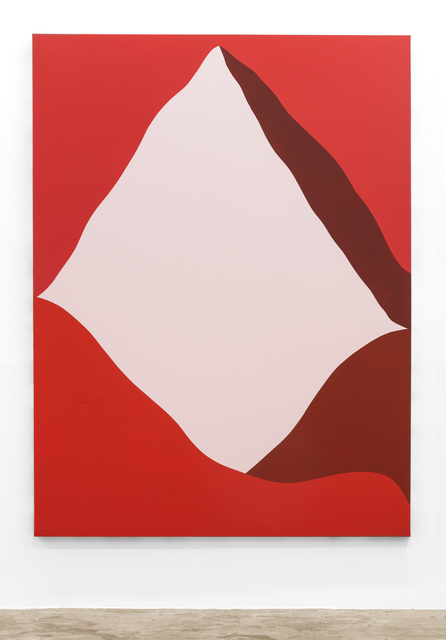 For these exhibitions Brannan Mason Gallery, Toshy, and Sandifer have partnered with 826LA. 826LA is a non-profit organization dedicated to supporting students ages 6 to 18 with their creative and expository writing skills, and to helping teachers inspire their students to write. 826LA provides after-school tutoring, evening and weekend workshops, in-school tutoring, help for English language learners, and assistance with student publications. 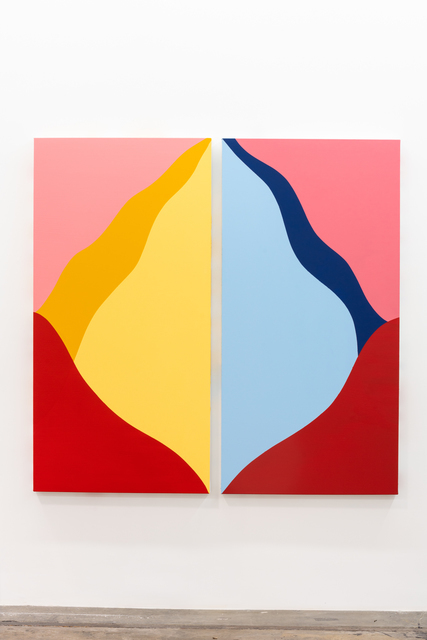 10% of proceeds from these exhibitions will benefit 826LA’s work with students. 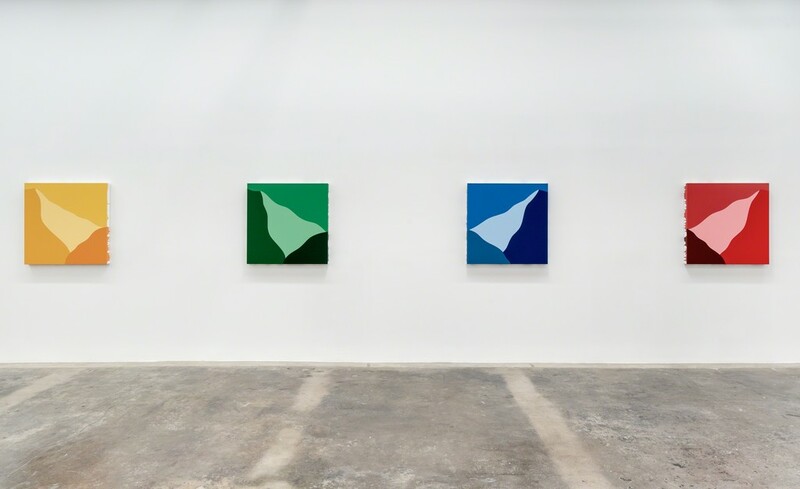 Brannan Mason Gallery (BMG) is a new contemporary art gallery dedicated to social impact. 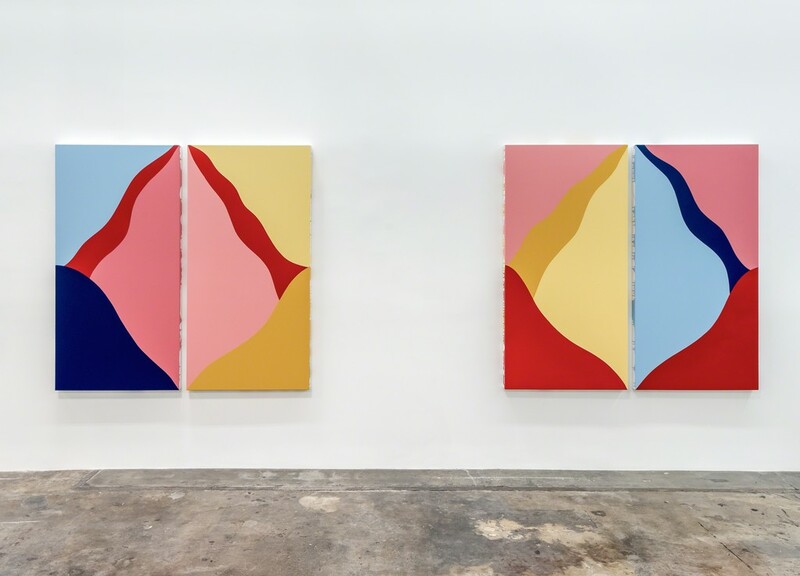 Located in a 4,500 square foot commercial space in the Arts District of Downtown Los Angeles, the gallery is destination to experience thought-provoking art, support artists and important causes, and build community.